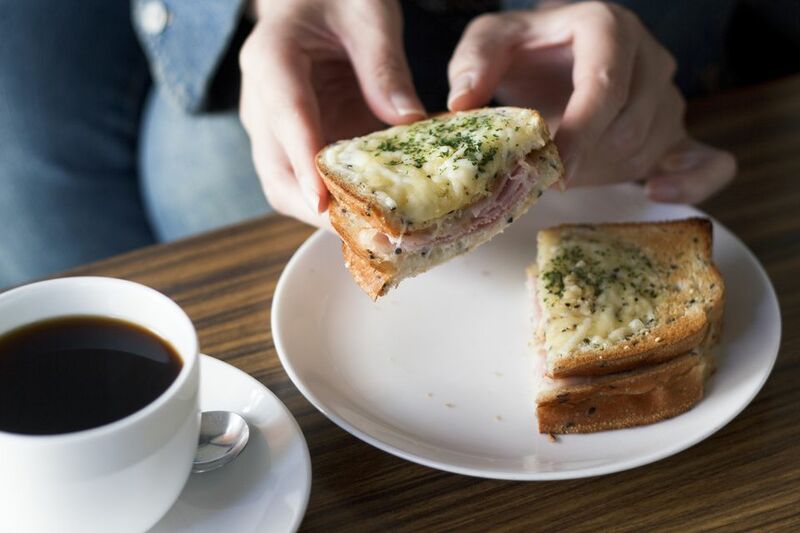 This traditional Croque Monsieur recipe is the closest version of the original sandwich served in Parisian cafes in the early 1900’s. It’s a perfect match for a steaming bowl of Provencal tomato rice soup. Preheat the broiler to the lowest heat setting. Evenly divide and spread the mustard on 4 slices of bread. Place a few slices of ham, followed by 1/2 cup Gruyere, on the mustard-side of the bread. Cover the cheese with the remaining slices of bread and spread the butter on the outside surfaces of the sandwiches.